[caption id="attachment_93" align="alignleft" width="300" caption="RC Boat Parts"] [/caption] If you want to experience the challenge of assembling your own RC boats from scratch, you will need some good and compatible RC boat parts. In order to succeed, you should begin with simple parts, especially if you are a beginner in terms of RC toy assembly. This way you get to practice enough to enable you to handle the more complex assemblies. 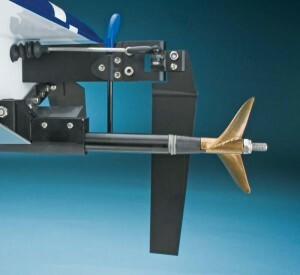 To begin with, you may choose from a host of electrical and working parts for the construction of your RC boat. Most RC boat kits come with instruction manuals to assist you when assembling your boat parts through a series of steps. When assembling your boat parts, be sure to take your time and get it right the first time instead of moving fast, making mistakes and having to correct them. And once assembly is complete, remember to cover the electrical and mechanical parts of your RC boat in the event that you need to paint the body. Here is a look at some of the specific parts that will need some tweaking before your boat is ready. The main prop shaft will need some lubing with marine grease before you take your boat out into the water for the first time. The marine grease will help seal the flex shaft tube better, in order to prevent water from seeping into the hull. In addition, the reduction of friction will reduce wear and tear, thus extending the life of your RC boat parts. The batteries will also need proper charging before first use, as well as the battery for your glow driver. The nitro engine will require breaking in to enable it to tune, last longer and run faster. Be sure to also idle the engine for several tanks of fuel in order to ensure a proper fit between the piston and sleeve within the crankcase of the engine. Byron McGruber loves playing with RC toys, having grown up with them. His favorite ones are the remote control boats - of which he has over 10 different models, and he enjoys assembling his toys from scratch using RC Boat Parts.